Andreas Ziegenhagen is Germany Managing Partner and European Head of the Restructuring, Insolvency and Bankruptcy group. He covers the areas of mergers and acquisitions (legal and tax advice), corporate recovery and insolvency law, corporate and tax law as well as banking and financing. Andreas regularly acts as a double-sided trustee in distressed situations and as a fully authorized representative in the framework of a debtor-in-possession proceeding for the purpose of restructuring by insolvency plan proceedings. He is one of the few German lawyers who is both, a qualified accountant and a tax consultant. Andreas is Partner at Dentons in Berlin and also Director of Dentons GmbH Wirtschaftsprüfungsgesellschaft Steuerberatungsgesellschaft. Prior to joining Dentons (formerly Salans) in 2006, Andreas spent his entire career at Haarmann Hemmelrath, where he became Partner in 2001 and Head of the Corporate Recovery and Insolvency practice group in 2004. He is also a member of the Global Board and European Board of Dentons. Paracelsus-Kliniken Deutschland GmbH & Co. KGaA: Lead in advising major German hospital chain Paracelsus-Kliniken and their subsidiaries and acting as general authorized representative within the restructuring in the framework of a complex bidding process and supporting the operative implementation of the insolvency proceedings in self-administration. Air Berlin PLC: Member of the creditors' committee. ALNO AG: Advising in the function of general authorized representative in the course of an interim proceeding in self-administration. High Tech Industries AG: Advising in connection with the restructuring and sale of the plastic injection moulding division to the German company Nanogate SE. AEG Power Solutions GmbH: Advising as the fully authorized representative on the restructuring in the framework of a protective shield proceeding as a debtor-in-possession and successful implementation of an insolvency plan procedure with capital measures and financial reorganization of the company. Beeztees: Advising the purchaser in connection with the acquisition of Karlie Flamingo GmbH and of several trademarks from the insolvent KARLIE Group GmbH. Prokon: Acting as a security trustee for a bond and new bond to be issued in connection with the restructuring. Advising in connection with the design of the insolvency plan as well as its implementation and the dual-track approach. High Tech Industries AG: Advising on the restructuring, the new appointment of the supervisory board as well as the extension of management in context of a trusteeship. Scholz Holding GmbH: Advising in connection with the restructuring, including the investor process comprising the takeover of the major financial liabilities in the framework of a debt purchasing, as well as with the transfer of shares held in trust in the framework of the Equity Closing to Chiho-Tiande Group. battenfeld-cincinnati group: Advising the selling shareholder in connection with the sale to Industrie Holding Nimbus. Steffel Group: Advising the seller on the sale to the Brüder Schlau group throughout the whole M&A process. BASLER: Advising on the sale of all shares of BASLER Fashion Group to the private equity fund Tempus Capital Fund One SCS in the framework of a double-sided trusteeship. Gienanth GmbH: Advising on the sale to Deutsche Beteiligungs AG (DBAG) and DBAG Fund VI (advised by DBAG) in the context of a double-sided trusteeship. B+P GERUESTBAU: Advising on the sale of a majority stake to Aurelius Mittelstandskapital. Insolvency administrator Dr. Philipp Hackländer: Advising in connection with the sale of A.D.A.M. Audio GmbH’s business (so-called “übertragende Sanierung”). 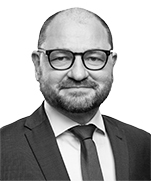 Insolvency administrator Kai Dellit: Advising in connection with the sale of domal wittol Wasch und Reinigungsmittel GmbH to the Polish Cosmed Group (so-called “übertragende Sanierung”). Solarwatt GmbH: Advising with regard to the acquisition of the distribution units and brand of Centrosolar in Europe. Görtz Group: Advising in the context of the acquisition of a 40% stake by AFINUM Management GmbH while serving as a double-sided trustee. Scholz Recycling Group: Advising in the context of the acquisition of a 39.9% stake by Japanese industrial group Toyota Tsusho Corporation (TTC) while serving as a double-sided trustee. Sobera Capital GmbH: Advising on the acquisition of BayTech Venture Capital GmbH & Co. KG. Decor Druck Leipzig GmbH: Advising concerning the sale to a new owner during a protective shield proceeding. FLEX Group (a German tool manufacturer): Advising the seller on the sale to the Chinese strategic investor Chervon throughout the whole M&A process, including the conduct of negotiations; the seller acted under a double-sided trusteeship. TFL Group (an international producer of specialty chemicals for the leather industry): Advising the seller on the sale to Black Diamond, including conduct of negotiations; the seller acted under a double-sided trusteeship. Bfw Blechformwerke Bernsbach GmbH: Advising on the successful restructuring in the framework of a protective shield proceeding as a debtor-in-possession submitting an insolvency plan with financial reorganization of the company by decreasing the capital to zero and a subsequent cash and non-cash capital increase by Meleghy & Cie. Automotive GmbH. HOLMER Group: Advising concerning the sale of the company to EXEL Industries, while serving as a double-sided trustee, in order to secure the interests of various bank creditors. Geyer Group: Advising during the successful reorganization within a protective shield proceeding as a debtor-in-possession for three group companies and drafting several parallel restructuring plans within a two-month period. SOLARWATT AG: Advising on a restructuring in the context of a protective shield proceeding as a debtor-in-possession: drafting an insolvency plan and implementing the restructuring concept via a capital reduction to zero with a subsequent cash and capital increase, applying the new provisions for insolvency plan procedure within a three-month period from the filing for insolvency until the termination of the insolvency proceeding. GSG Asset GmbH & Co. Verwaltungs KG: Advising on the refinancing and restructuring of their acquisition loan in the amount of €300 million. Manufacturer of concrete railway ties and system provider: Serving as a double-sided trustee. Investor: Advising in relation to the acquisition of the Polo group out of the insolvency proceedings. German bank syndicate: Advising as the collateral pool manager in connection with the insolvency of automotive supplier AKT Gardelegen. Bank creditors and debtors: Serving the function of double-sided trustee, assisting in the negotiations with investors in the interests of the banks financing the companies and the companies on new financing structures. We were also instructed to launch bidding procedures which ensured the restructuring of the operational business of the companies. Primacom Group: Advising the Chief Restructuring Officer on the restructuring. Capmark Finance, Inc. as the secured creditor: Advising in connection with the sale of nursing homes of German subsidiaries of Sunrise Senior Living, Inc., a US-American operator of residential and nursing homes. The investor Gordon Brothers: Advising on the intended acquisition of the insolvent retail chain Woolworth. Confidential client: Advising the servicer of loans (more than €250 million) which has been granted to a large German property investment group. This group filed for insolvency. The group of lenders includes one of the leading banks in Europe. 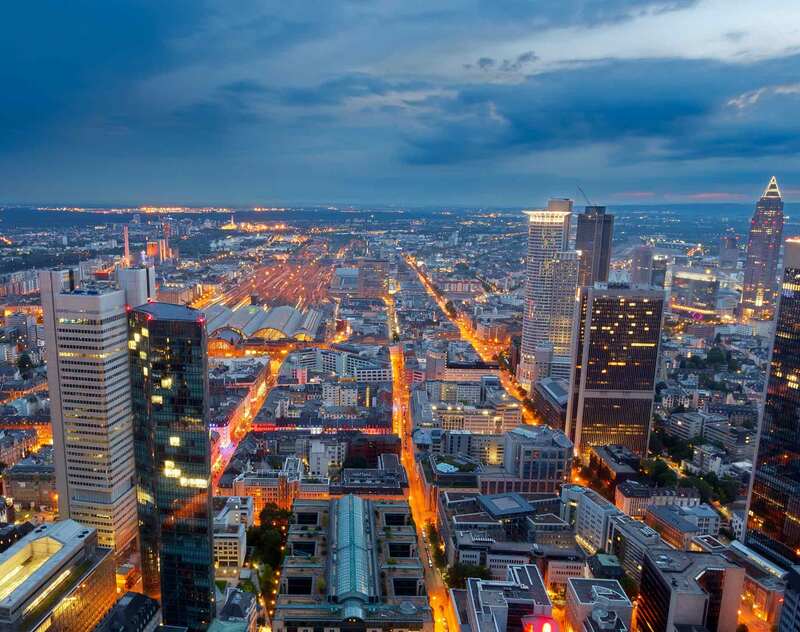 Confidential client: Advising on the settlement of claims (more than €110 million) arising from a Berlin real estate development project, involving the financing bank, the project development company and the Federal State of Berlin. Deutsche Bahn AG: Advising on the distressed acquisition of the insolvent Waggonbau Niesky GmbH in connection with insolvency plan proceedings. German bank syndicate as creditors: Advising in connection with the insolvency of the PIN Group AG regarding the main and the secondary insolvency proceedings. Allgemeine Hypotheken Bank Rheinboden AG (now Corealcredit Bank AG): Advising this real estate and mortgage bank during its restructuring which resulted in the acquisition by Lone Star. Thereafter advising on the relation with silent partners and bonus shareholders ("Genussrechte"). Chambers Europe, 2018 mentions Andreas Ziegenhagen as an outstanding restructuring practitioner in Band 1 for Restructuring/Insolvency: he is considered a go-to name for trusteeship matters during insolvency proceedings, in particular double-sided trusteeship structures. JUVE Handbook German Commercial Law Firms, 2016/2017, Andreas is ranked as one of the frequently recommended lawyers for restructuring/insolvency, M&A, corporate and tax. Moreover, he is listed by JUVE as one of the leading names in the area of restructuring and corporate rescue. JUVE 2013/2014 describes Andreas, “who is sought after both as an advisor in the first insolvency protection proceedings under the Act Serving the Further Facilitation of the Restructuring of Companies and as a trustee in high-profile company crises” as “determined, focuses on the task at hand.” The Legal 500 Deutschland, 2016 highlights Andreas Ziegenhagen as one of the leading individuals for restructuring: he impresses by “practical solutions and first-class results”. Andreas is continuously ranked as a top lawyer for restructuring and insolvency law as well as tax by Best Lawyers. He was named Berlin Tax Law “Lawyer of the Year” in 2014. Moreover, Ziegenhagen was honored as “Lawyer of the Year” for Restructuring and Insolvency Law in 2015 and in 2017. Board member, Berlin/Brandenburger Arbeitskreis für Insolvenzrecht e.V. Member, Arbeitskreis für Insolvenzwesen Köln e.V. Member, Deutsche Steuerjuristische Gesellschaft e.V. Member, Verein zur Förderung des Bilanz- und Steuerrechts sowie der Wirtschaftsprüfung Berlin/Brandenburg e.V. Member, Institut der Wirtschaftsprüfer in Deutschland e.V.